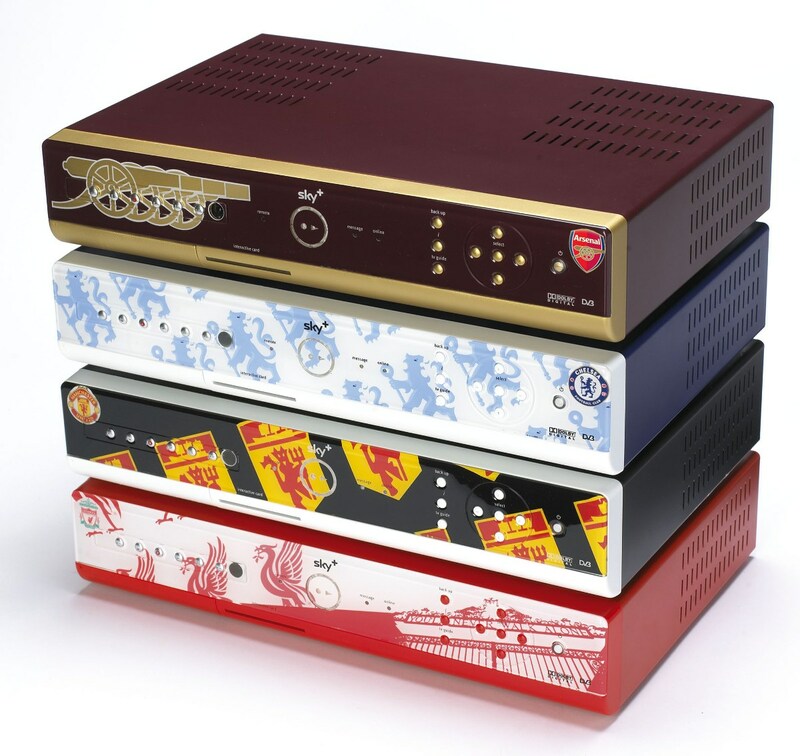 Following the success of the 2004 Sky+ designer collection, five of the world’s most sought-after designers decided to come together to present a new 2005 range. The collection, which numbered eight boxes in total, went on sale in John Lewis for £99 per box. UK designer Wayne Hemingway designed the first four boxes, which celebrated the top-scoring Premiership clubs of all time—Manchester United, Arsenal, Liverpool, and Chelsea. 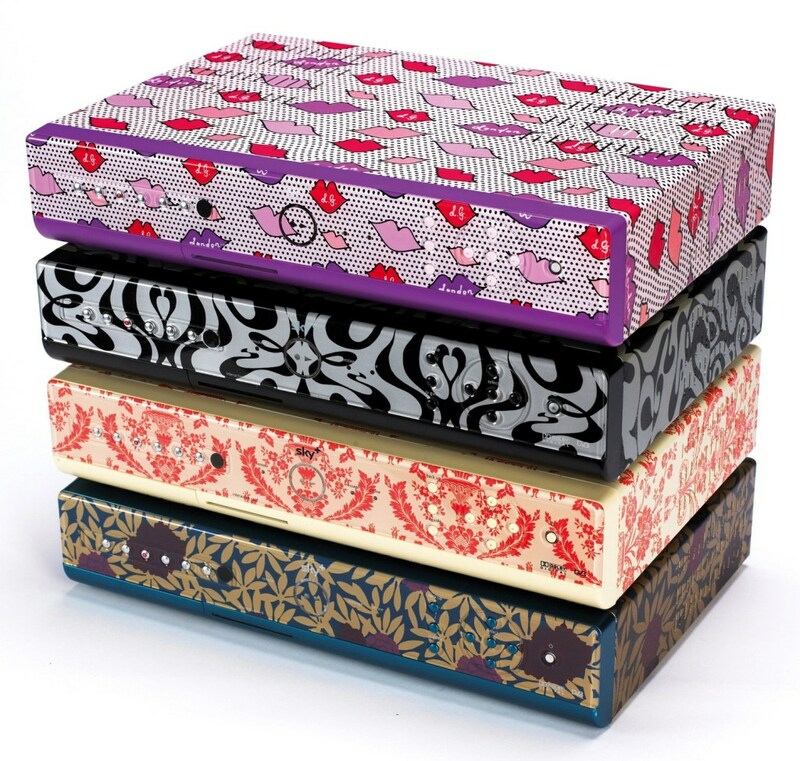 The remaining four boxes were designed by accessories designer Lulu Guinness, luxury wallpaper designers Cole & Son, fabric and wallpaper specialists Osborne & Little, and wallpaper and paint experts Farrow & Ball. The end result was a spectacular and eclectic range which celebrated the best in design and technology. As one of the few companies using a printing process called water transfer printing, we were chosen to decorate each box. Water transfer treatment works by using a water-soluble PVA film to transfer ink to the product. Firstly, the Sky+ boxes were painted with a base colour, then we applied a printed film to the boxes using the water printing, before finally applying a satin topcoat lacquer to give a hard-wearing and durable finish.